Do you know that there are more tourists coming to see whales than any other animals in South Africa? Whales are number one in terms of popularity and it's not surprising! I have experienced a couple of Hermanus whale watching tours and each time it has been an unforgettable experience! And suddenly, a whale swam towards the boat as if she was going to hit us! But a few metres from us, she duck-dove and we could see her swimming under the boat, almost touching the keel! And then comes THE magic moment...She came out of the water vertically 2 metres from the boat! We could almost touch her! Ouah! Ouah! Ouah! All my life, I will remember that! She was so beautiful..and big! Now, I've been told that you can get an even bigger thrill by approaching the whales with kayaks! 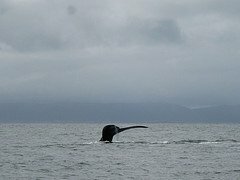 This is my next whale season experience! By the way, the best time of the year to experiment Hermanus whale watching is from August to end of November when they calve and mate. Watch this video! The other day, we were sitting on our terrace in Fish Hoek with my husband and we saw a white whale! It was unreal! I have never seen a white whale before. 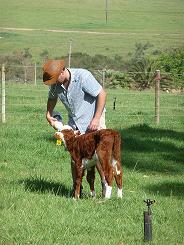 It was smaller than the other one and by the way they behaved, it looked like it was a mother and its calf. The darker one put its fin over the white one as to cuddle it or protect it. Magical! 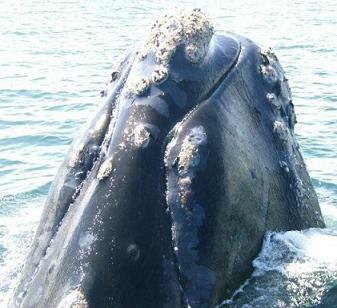 In September, there is even a whale festival in Hermanus and Plettenberg Bay. 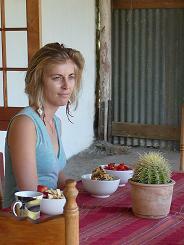 During the whale season, Hermanus can be quite busy and it can be a mission to find accommodation. 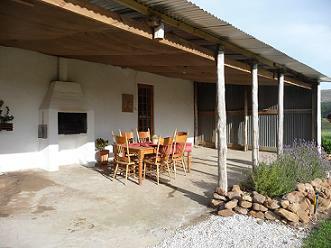 This is the perfect spot if you like quiet places, Nature and the country side. 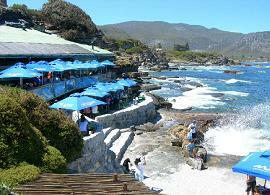 It's 10 minutes drive from the sea where you will have your memorable Hermanus whale watching experience. 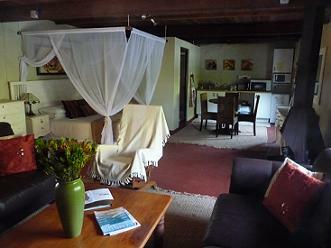 It's a self catering cottage with lots of charm! 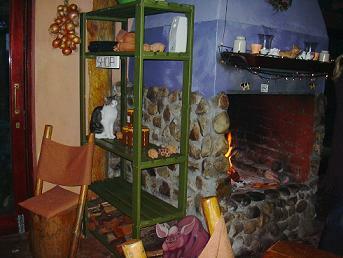 I would recommend this place to a couple who feels so much like having a romantic time because...there is a fireplace! You can listen to fire craking while cuddling in the bed and fall asleep with the light of flames! This is also a great place for a family with 2 children as there are two extra cosy beds in the same room. 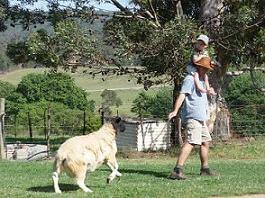 And on the morning, after a restful night, you can have the treat to watch the owners Danie and Sonja feeding and looking after their farm animals while you're having breakfast! This is a unique place with a unique feel! If you would like to book accommodation at Heaven and Earth, please contact me! 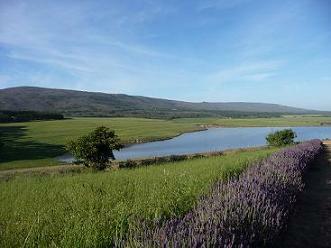 MOGGS is located in the beautiful Hemel-en-Aarde (Heaven and Earth) Valley (15min drive from Hermanus). It's surrounded by mountains, fields, fruit and vines and it's definitely a place that I enjoy visiting each time I go to Hermanus. This is the best spot to extend your Heramus whale watching experience! You can eat either in the cave or outside on the rocks! At Bientang's cave, you won't eat in front of a tv but you will have the chance to watch the whales while you're eating! In season, they can come very close to the restaurant almost like they are part of it!! !